Marvel at the magical sunsets over a sparkling blue lagoon, while lounging on sheltered, white sandy beaches, fringed with swaying coconut palms. Wander through the tropical gardens on your way to the beach side infinity pool at Manuia Beach Boutique Hotel, your Rarotonga Accommodation. Rest at the pool edge and soak in the views across the beach, through the lagoon and on wards to the waves crashing on the barrier reef beyond. Sip a refreshing tropical cocktail delivered to you from the On the Beach Restaurant and Bar, or enjoy your Polynesian inspired meals in the restaurant while you trail your toes through the sandy floor at Manuia Beach. * We are an adults only resort (16yrs and above). Manuia Beach Resort is the ultimate Rarotongan resort boasting gorgeous Beach Front and garden suites, we can cater for your every need. Our Rarotongan beach resort is set right on the beach overlooking the lagoon, barrier reef and Pacific Ocean with the lush mountains as a back drop. Our location offers guests Rarotonga Accommodation with extra sun time, spectacular sunsets and avoids the easterly trade winds. The Perfect Pacific Island Venue: Your dream Rarotonga wedding will become a reality at Manuia Beach Resort - your Cook Island resort. On the Beach Restaurant and Bar at Manuia Beach Resort - your Rarotonga resort - is arguably in one of the best locations on the island. You're literally right on the beach. Manuia Beach Resort is already great value, but see our Hot Deals for even more. 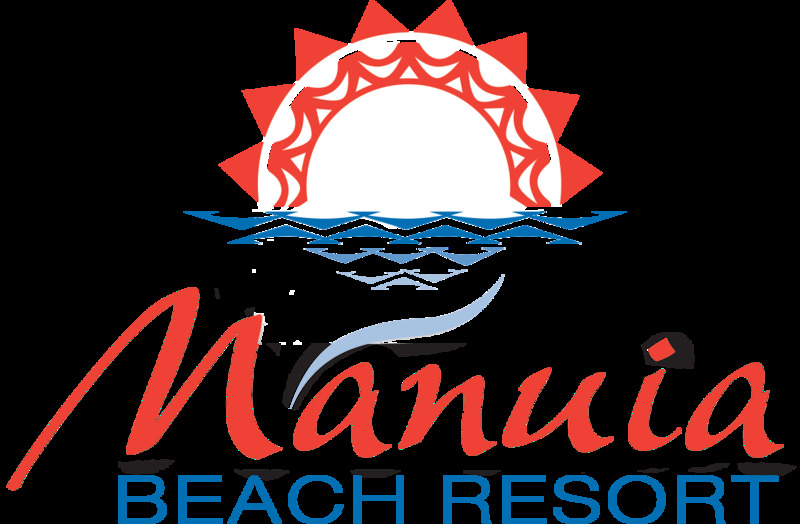 Manuia Beach Resort - your Cook Islands Resort - is set right on the beach in private and peaceful surroundings on the sheltered sunset coast of Rarotonga. You will love the authentic Rarotongan accommodation, with the coconut thatched suites complete with island style decor and modern amenities such as air conditioning. Walk through the sandy path down to the water and be stunned by the beauty of the poolside area at this Rarotongan Beach Resort. The infinity pool, by the On the Beach Restaurant and Bar with its relaxed authentic Polynesian cuisine, loungers set invitingly facing the beautiful lagoon, and attentive local staff, will all set the stage for your dream Rarotongan get-away. Your magical holiday starts when you receive your Polynesian greeting at the airport on arrival. You will then be transported the short 10 minute drive from the Airport in your dedicated Manuia Beach Resort transport and escorted to your Rarotongan Beach Resort. Your room, a beautiful and luxurious home away from home. You will surely enjoy your island escape starting from the moment you arrive but that magical island feeling will last far longer that your time in the Cook Islands. Take a piece of Rarotonga home with you and look forward to visiting again soon! Get in touch today to begin planning your Manuia Beach Holiday.